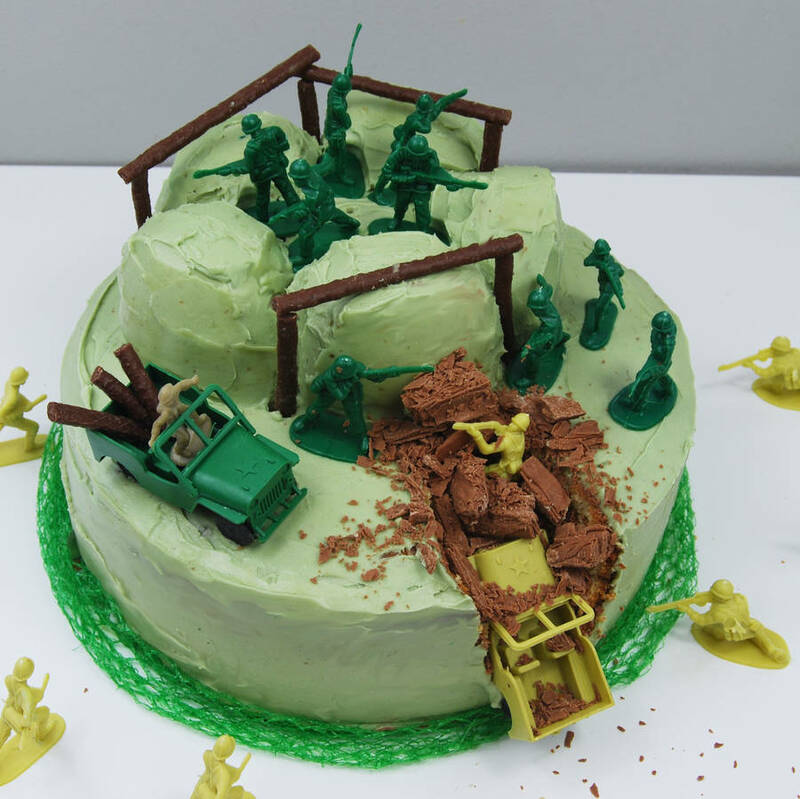 The Battle is on...children will love this cake complete with its own army! 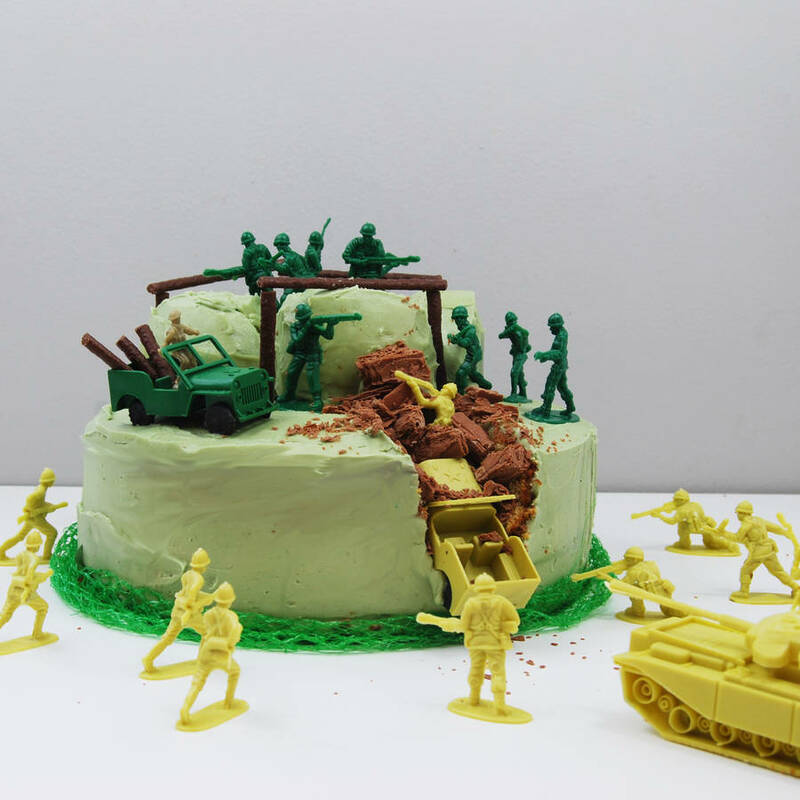 This kit makes one army cake with cupcake tower smothered in delicious buttercream and includes soldier figurines and vehicles. This cake serves approx. 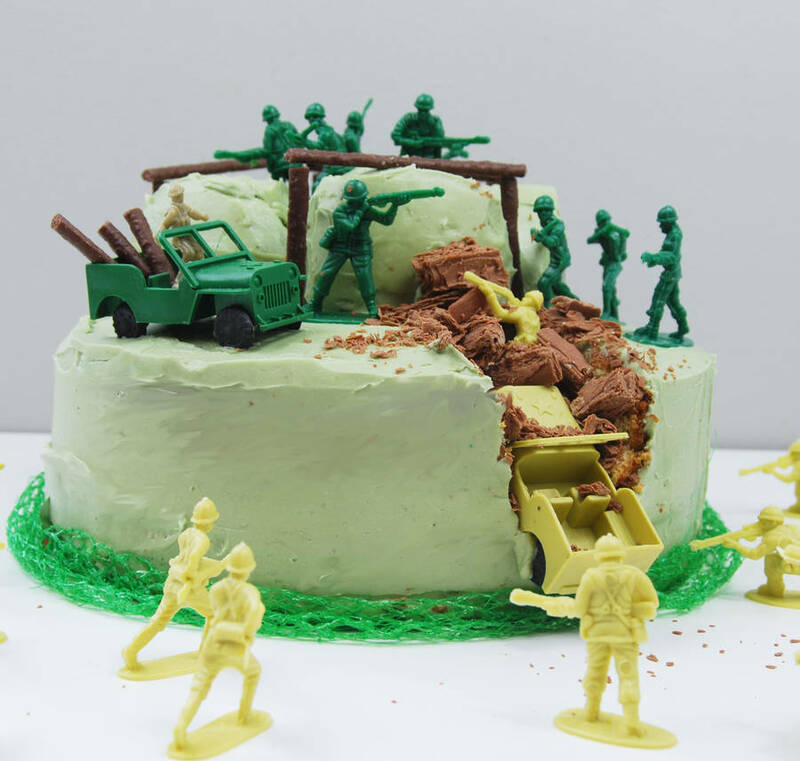 20 ‘grown-up’ size slices or 30 child’s ‘party-bag’ size slices and has a shelf life of approx 4 months from date of purchase provided it's kept in suitable dry conditions. Chocolate flake and matchstick ingredients: MILK, sugar, Cocoa Butter, Cocoa Mass, veg fat (palm, shea,) Emulsifier E422, Flavourings. Colouring Green: Water, Preservative, Acetic Acid, Colours E104, E133.